1) Refines Balance and Coordination: Balance is a key element of yoga. Balancing poses helps in promoting mental and physical health, which makes students flexible and smooth in their mind and body. 2) Enhances Focus and Concentration: The act of practicing poses encourages the student to clear their mind and focus in one direction. 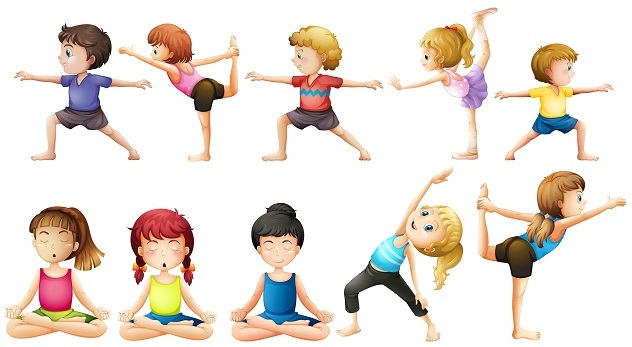 Yoga helps children to focus and concentrate and get better grades. 3) Boosts Self-Esteem and Confidence: Yoga helps to boost confidence and bring learning to the student on an experiential level. Yoga teaches them to persevere, be patient, and work towards their goals. Yoga also provides tools for practicing compassion, mindfulness, generosity, focus, strength, and flexibility. 4) Manage stress: Yoga gives students the skills needed to manage their stress levels when faced with a challenging situation. The bustling pace of student’s lives can have a profound effect on their innate joy—and usually not for the better. Yoga can help counter these pressures. When a student learns techniques for self-health, relaxation, and inner fulfillment, they can navigate life’s challenges with a little more ease. The Manthan School is in the list of top 10 schools in Delhi NCR which is not only providing world class education but also, making excel their students in all the aspects of learning of life and career.